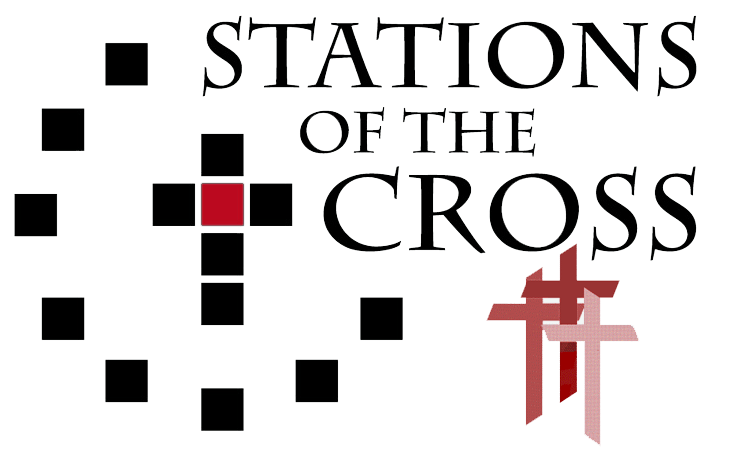 Praying the Stations of the Cross is a popular devotion in both the Eastern and Western Churches. It was developed during the Crusades when the knights and pilgrims began to follow the route of Christ’s way to Calvary. This devotion spread throughout Europe and was promulgated by the Franciscan friars in the 14th and 15th centuries. Eventually, the Stations of the Cross became an important catechetical tool, and the popularity of this devotion inspired some of the greatest examples of medieval Christian art. Some scholars believe that medieval miracle plays, which were essentially tableaux of Christ’s life, developed from the sculptured representations of the Stations of the Cross in the great Churches. These scenes from the Way of the Cross have provided inspiration for many of the world’s greatest works of visual art. During Lent or Holy Week most parishes have a service of Stations at least once. It is worth taking children to this so that they can participate with other Catholics in this timeless and very moving devotion. If you are near a cathedral or other large church that has beautiful Stations it would be worth making a visit with children so that they can look closely at the depictions of Christ’s way to Calvary. The visual representations, combined with the prayers and meditations, help to deepen our understanding of the Way of the Cross, which will be of great spiritual benefit for all Catholics of all ages.